ELMWOOD, WI – When superintendent and elementary school principal Paul Blanford received a flyer and an email from Wisconsin State High School Clay Target League, he liked what he saw. “I reviewed the program and talked to our staff. I then presented it to the school board as an informational item and followed up the next month with a proposal to have the program. During the process, Neil Boltic from the Elmwood Rod and Gun Club came to the school board meetings to express support from the Rod and Gun Club for the program,” said Blanford. 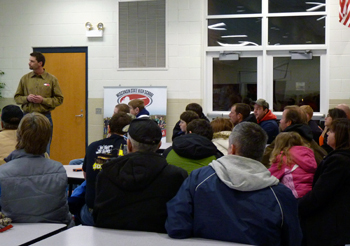 On Thursday, February 27, an informational meeting was held in the school’s cafeteria. Present were Blanford and Cory Brathol from the League as well as approximately 25 students and their parents. Brathol thanked superintendent Blanford as well as the school board and the Elmwood Rod and Gun Club for their support in bringing this program to Elmwood. “We are a nonprofit organization that works with high schools to set up trapshooting sports as an extracurricular activity,” Brathol told the crowd. And the organization is growing by leaps and bounds. “In 2008 we had 30 students; today we have 5,800. Three school and three teams participated in 2008; today over 300 school and 175 teams are actively involved in the program,” he added. “Safety is our number one priority,” said Cory. Numbers two and three priorities are having fun and improving marksmanship. The season is traditionally a nine week season beginning on April 1 and ending June 1. There can also be a six week season in the fall. 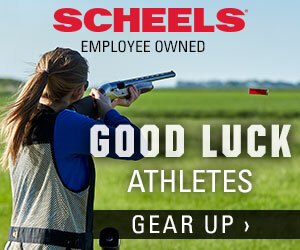 Since students only need visit their local shooting range to compete, there are no travel costs involved. Brathol, using powerpoint, emphasized the organization’s safety record. “Five million shots have been fired; more than 6,000 have participated since 2001, and there have been no reported injuries—that’s zero reported injuries and zero reported school gun policy violations,” he noted. All participants are required to have their hunter education certification from the Department of Natural Resources, and the League requires one coach for every 10 athletes on a team; a Range Safety Officer needs to be present at all times during event participation. Brathol noted some other advantages to the program. “We follow WIAA guidelines, and there are no benchwarmers in this sport, plus it’s a great outdoor recreation opportunity. And because trapshooting is a sport, the athletes can earn letters just like football and basketball players do,” he said. Other advantages include the fact that this sport has equal opportunity participation. Not every student has the physical ability or desire to participate in football, baseball, track, soccer or other high school sports. 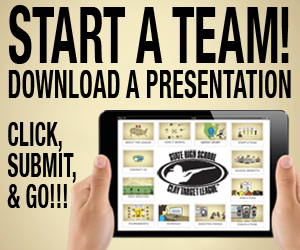 Every participant on a team will shoot their targets each week with a great opportunity to have their score used for the team, and they can measure their progress against all other athletes in their team, conference, and state using the League’s online programs. Scores are submitted online, compared against other teams in the state, and posted on the website. “We look for students to sign up by March 17 to ensure that they will be eligible to compete,” said Blanford. The Wisconsin State High School Clay Target League—it’s a win-win opportunity for students, schools and communities. For more information about the League, visit their website at www.wiclaytarget.com.